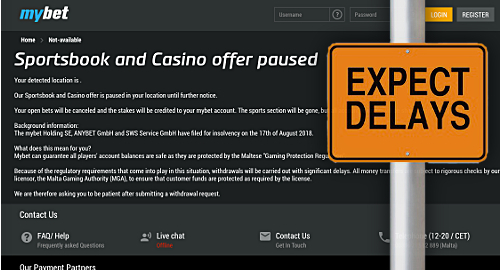 Troubled German online gambling operator Mybet has shut its online sportsbook and casino but assures customers that they will – eventually – get their money back. 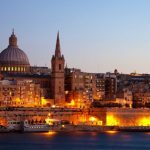 On Tuesday, the Malta-licensed Mybet gambling site’s homepage switched to a notice informing visitors that its gaming operations had been “paused … until further notice.” The message said that all open bets have been cancelled and the stakes would be credited to customers’ accounts. 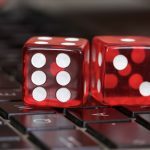 Mybet assured customers that it could “guarantee all account balances are safe as they are protected” by the Malta Gaming Authority’s ‘Gaming Protection Regulation.’ However, “because of regulatory requirements that come into play in this situation, withdrawals will be carried out with significant delays.” Mybet asked customers to be “patient” after submitting withdrawal requests. 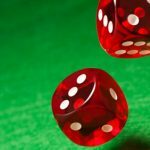 The news pushed Mybet’s stock price down nearly one-third on Frankfurt’s Xetra exchange on Wednesday. After a brief spike in Tuesday’s late trading, the shares have now fallen to just €0.03, roughly half their value from one month ago. The shares were worth €1.66 as late as June 12. 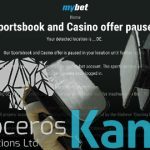 After struggling financially for the past few years, Mybet filed insolvency proceedings last month when negotiations with a potential strategic investor failed to produce a deal that would allow Mybet to continue operations. 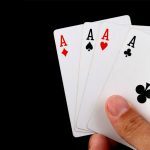 In July, Mybet announced that it had embarked on a new strategy that would involve selling its customer-facing business in order to focus on its “positively performing” B2B operations. The company had planned to retain the use of its Mybet brand, the fate of which remains anyone’s guess at this point.